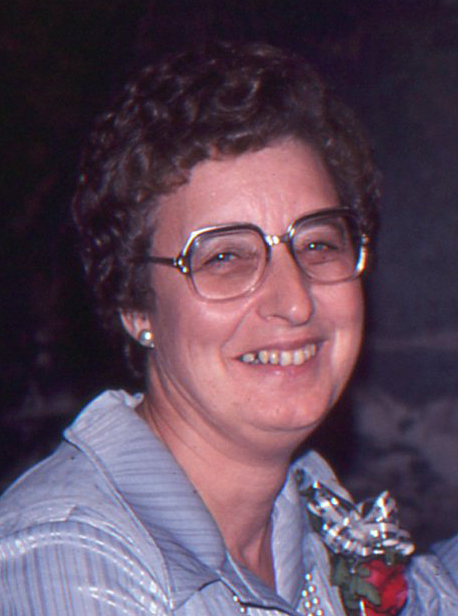 Jeanette Francis (Roettger) Yelland passed away peacefully, March 29, 2019. Jeanette was born to Anton and Helen Roettger as the bells were ringing in the New Year, 1936. She was the oldest of 12children, six girls and six boys. She was an excellent student but left school school after Grade 8 to help her mother at home. At 16 she left home to further her education at the Saskatoon Business College which waived their minimum admission requirements based on her outstanding Grade 8 marks. After school, Jeanette found her way to Tisdale, Sask. where she worked as a legal secretary. It was there that she met and married a local farmer, Robert William (Bill) Yelland. Together they raised his daughter Joan and their three sons, Ken, Clifford and Gerald. Jeanette accomplished so much in her life. She was a hardworking woman who loved to cook for family and friends, she grew large gardens, could sew anything, drove a school bus, did many crafts, and took care of her family. She belonged to the Forester ladies club and was an active participant in the Connaught fair, where she won many ribbons for her baking and garden produce. Neighbors often stopped by for coffee, snacks and card games. She always welcomed the kids friends, usually with food. In their retirement Bill and Jeanette purchased a motorhome and traveled in Canada and the USA spending their winters in Brownsville and Harlengen Texas. They particularly enjoyed teaching English to young Mexican children. They made a lot of lasting friendships playing cards and making shopping trips into Mexico. Summers back in Saskatchewan they went on many fishing trips with their friends and family. They lived in their cabin at Marean Lake, their favorite place of everywhere they had traveled. They loved having their grandchildren Darren and Michael Will, Bradley and Leslie Yelland, and Leah and Adam Yelland stay with them there. Grandma Jeanette was the Fisherwoman who often was the only one who could catch a fish. Jeanette was a loving wife, mother, grandmother, sister, aunt, cousin, friend. She will be missed by her immediate family, a very large extended family and many friends she made during her eighty three years. At Jeanette's request, no funeral service will be held.